There are three chemical tests law enforcement officers may perform on you if you have been arrested for driving under the influence (DUI) or operating a vehicle while impaired (OVI). Officers may test your breath, your blood and/or your urine to determine if you have a blood alcohol content level (BAC) over the legal limit. In Ohio, DUI penalties for a first time offense are set according to your BAC level. If the BAC was between .08% and .17%, there is a mandatory three-day jail stay. If you have been arrested for DUI or OVI, by virtue of possessing a driver’s license, you give what is known as your “implied consent” to these tests. The penalty for refusing to take any of theses tests following arrest is that your driver’s license will be automatically suspended. All this being said, it is important to understand that this testing is not foolproof and must be conducted under the strictest of conditions. There are many, many factors that can influence and change the testing results. Take for example the breathalyzer test. This is a machine that must be precisely calibrated, but may still produce unreliable results because of a software glitch. Your own personal health or dental issues may impact the breath analysis results. Dentures, cavities, mouthwash, breath fresheners, dieting, smoking, and many other things can impact the test results. As with the breath analysis, blood and urine tests must be conducted with rigid scientific and chain of evidence procedures. 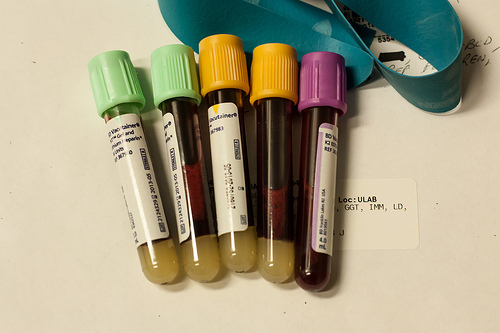 Collection, storing, transporting and testing of the urine and/ or blood specimen must be conducted according to a strict set of guidelines to ensure that all is done to protect the integrity of the results. If any of these steps are disregarded, or done in an improper manner, the results may be called into question. If you’ve been arrested for DUI, you are facing potentially life-altering consequences. Do not go it alone. You need the trusted representation of a skilled attorney who can help you navigate the legal process. The Maher Law Firm can help make sure that your rights are protected. Founding attorney, Colin Maher is a National Highway Traffic Safety Administration (NHTSA) certified practitioner for field sobriety testing, which is the same training police officers take. This training helps him evaluate and challenge the evidence collection process. Call The Maher Law Firm today for a free consultation at 614-205-2208 or contact us online.